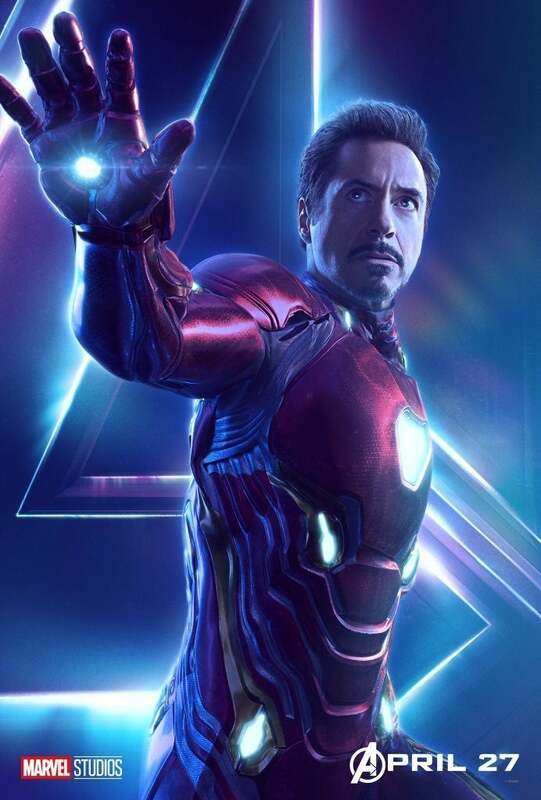 Robert Downey Jr. just posted the first Avengers: Infinity War character poster of Iron Man to his Instagram account - and now the complete set of posters have popped up online right behind him! Scroll down below for a closer look at the new costumes and details of all the many Marvel Cinematic Universe heroes that will be featured in Infinity War - from the main Avengers camp, to the Guardians of the Galaxy, and even new figures like Black Panther and Spider-Man! Which are your favs, and which will end up on your wall? Be sure to let us know in the comments after you've had a look! 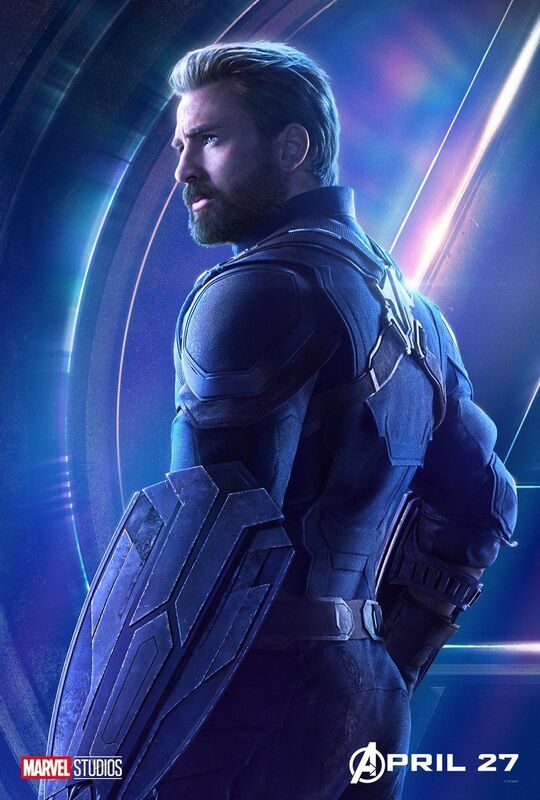 People have been swooning over Chris Evans' new Captain America bearded look. This poster will be giving a lot of feels. Tony Stark's new armor will bring the Bleeding Edge / Model Prime designs for the comics to life onscreen, as fans have long hoped for. Here's hoping the armor - and RDJ's Tony Stark - survive the experience. 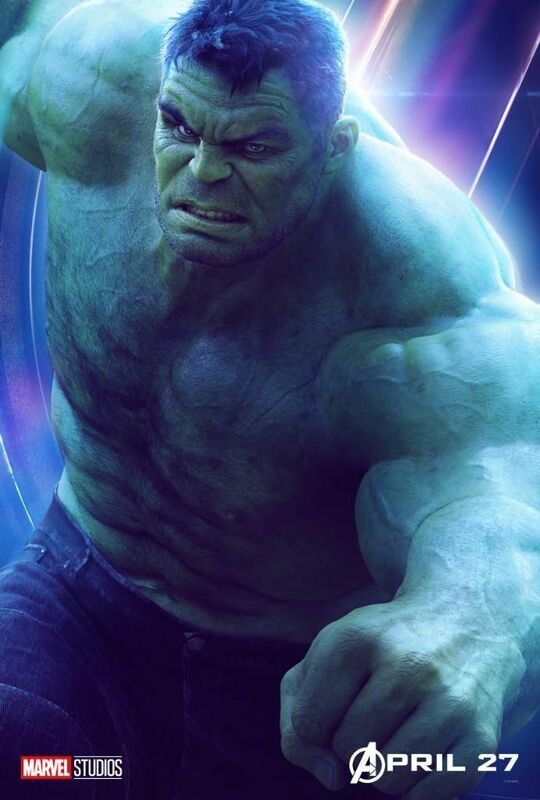 Mark Ruffalo's Hulk is currently on a three-movie story arc that began in Thor: Ragnarok and continues into Avengers: Infinity War. We can't wait to see where this particular road leads! 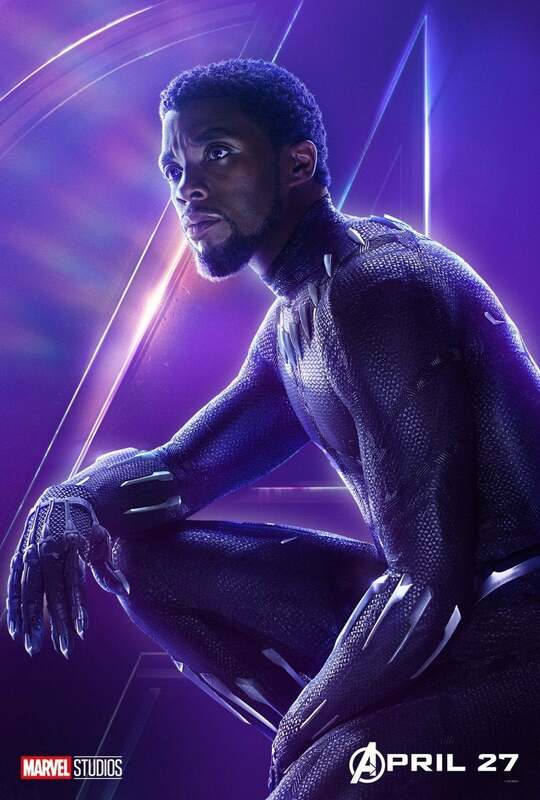 Chadwick Boseman's T'Challa / Black Panther is the current king of the box office - and looks just as regal here in this Avengers: Infinity War poster! 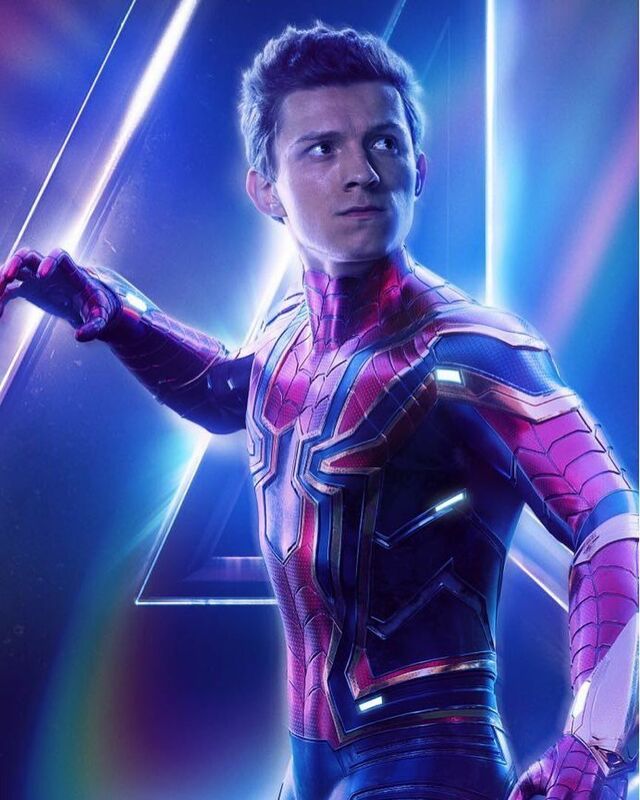 Tom Holland looks great in his new Iron Spider suit - and we can't wait to see the big tech upgrades the suit reveals. 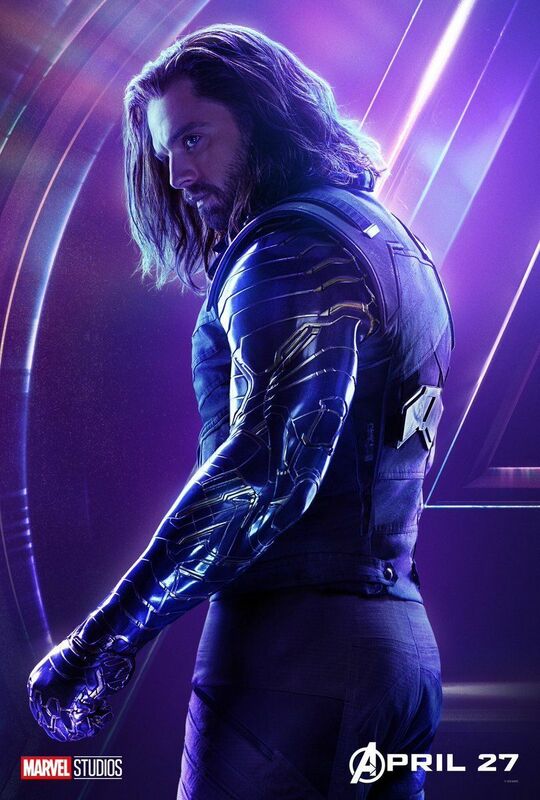 Sebastian Stan's Bucky is no longer The Winter Soldier, thanks to help from Shuri, and this poster is a lot better at depicting his new bionic arm than a recent one-sheet did. 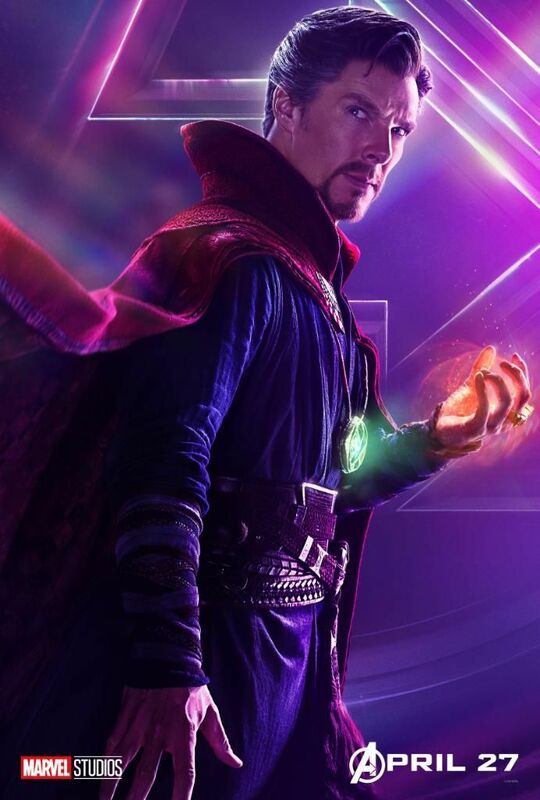 Benedict Cumberbatch's Doc Strange looks all mysterious, mystical, and badass here - but when Ebony Maw breaks him, it will just be a lot of screaming and sweating. 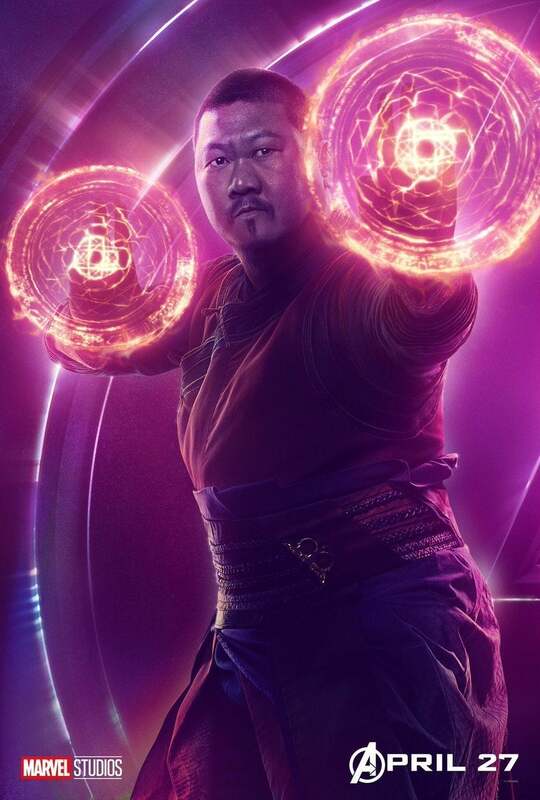 Doctor Strange's right-hand man is about to see his job as a mystic protector get a lot more complicated - starting with the moment Hulk comes crashing into the Sanctum Sanctorum. 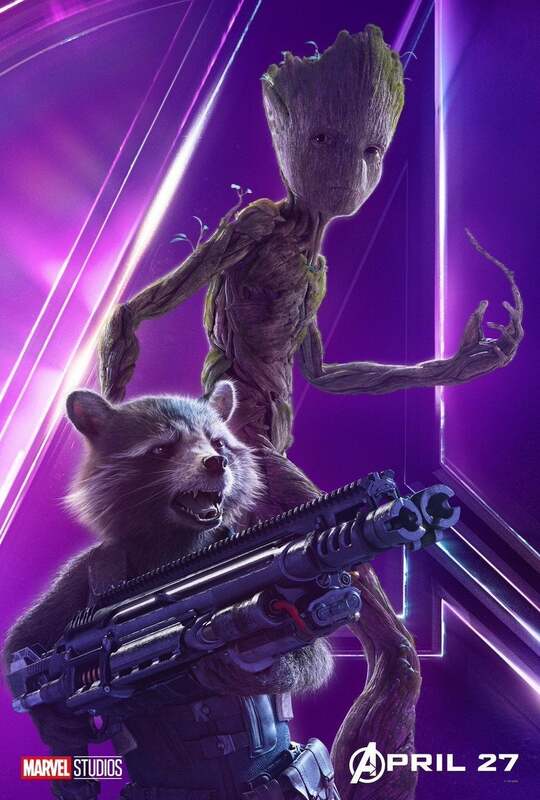 ...That's right, Guardians of the Galaxy's lovable rascal duo (voices Bradley Cooper and Vin Diesel) will be aiding Thor on his quest or a new weapon. Because if there's anything that Rocket loves, it's weapons. 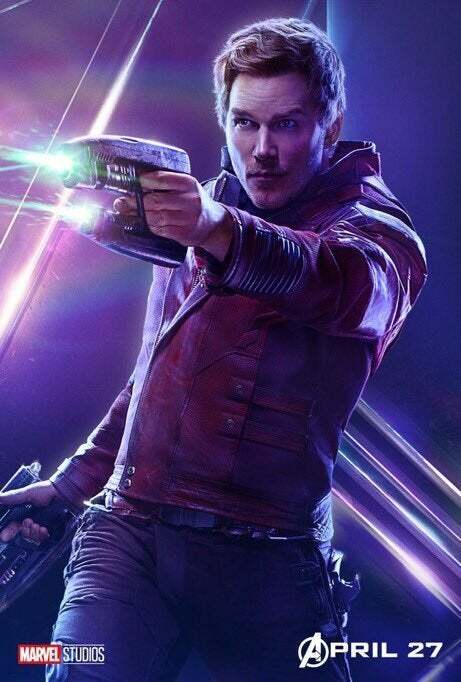 Chris Pratt's Star-Lord / Peter Quill will be leading the remaining Guardians on another crucial mission: getting to the Infinity Stone left with The Collector before Thanos does. Needless to say, it doesn't go very well. 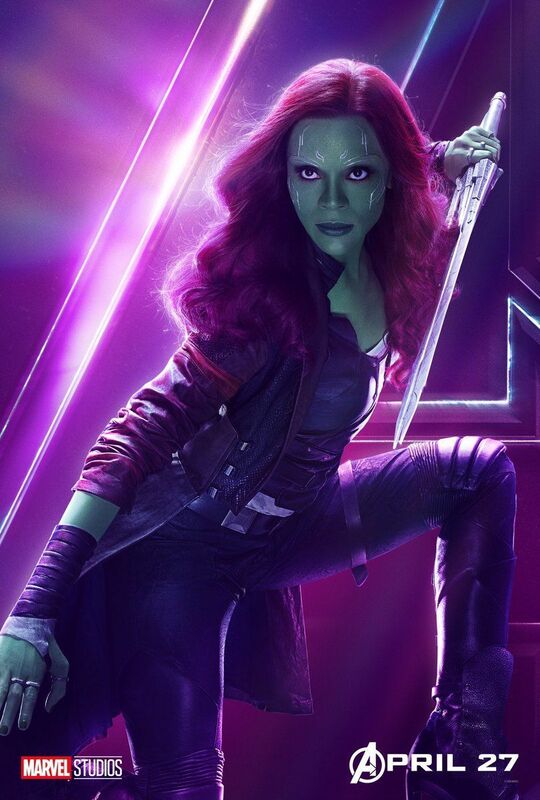 The fight will be personal for Zoe Saldana's Gamora in Infinity War, as she finally tries to get justice for her people by taking down Thanos, once and for all. 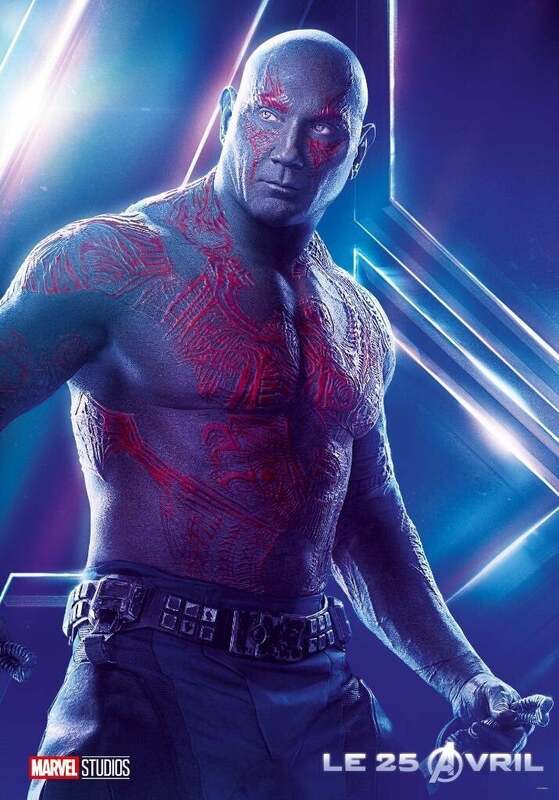 The other wounded heart that's been looking for Thanos all this time is Drax. 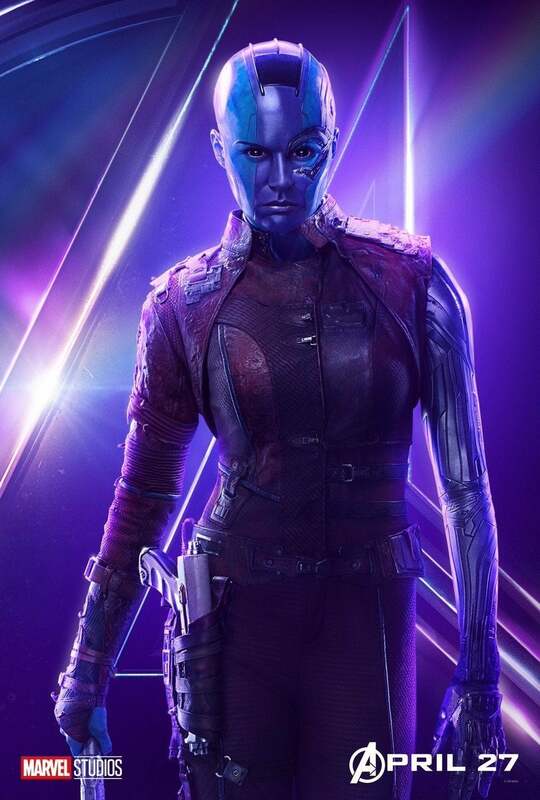 It'll be interesting to see how Drax, Gamora and Nebula all balance their respective thirsts for vengeance - or if they end up tripping each other up. 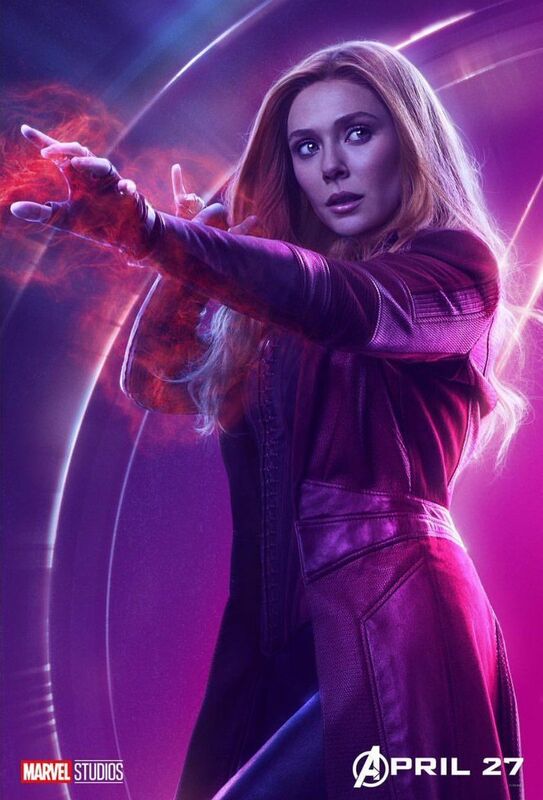 Elizabeth Olsen's Scarlet Witch will find herself in a very emotionally vulnerable position, trying to balance her growing affection for The Vision against the terror of what will happen to him if his Mind Stone is ripped out by the Black Order. The Avengers will need serious upgrades to stand against Thanos - and for once, Tony Stark won't be there to provide the answer. 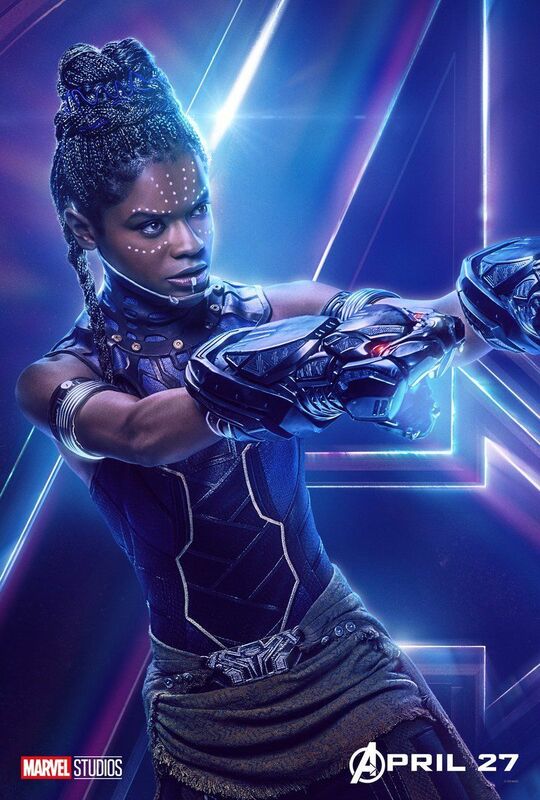 The tech strategy will then be left to Letitia Wright's Shuri, as the MCU heroes prepare for a final battle in Wakanda. 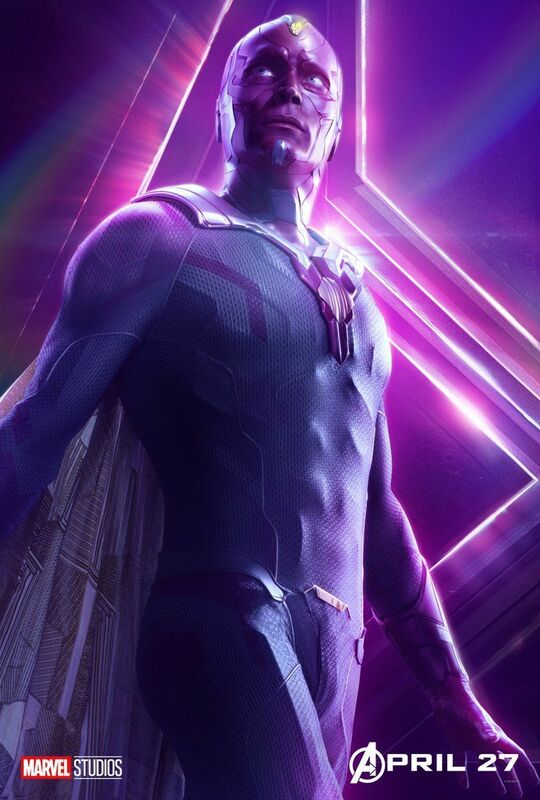 Paul Bettany's Vision will just be trying to survive by staying one step ahead of Thanos most formidable and ruthless lieutenants, Corvus Glaive and Proxima Midnight. 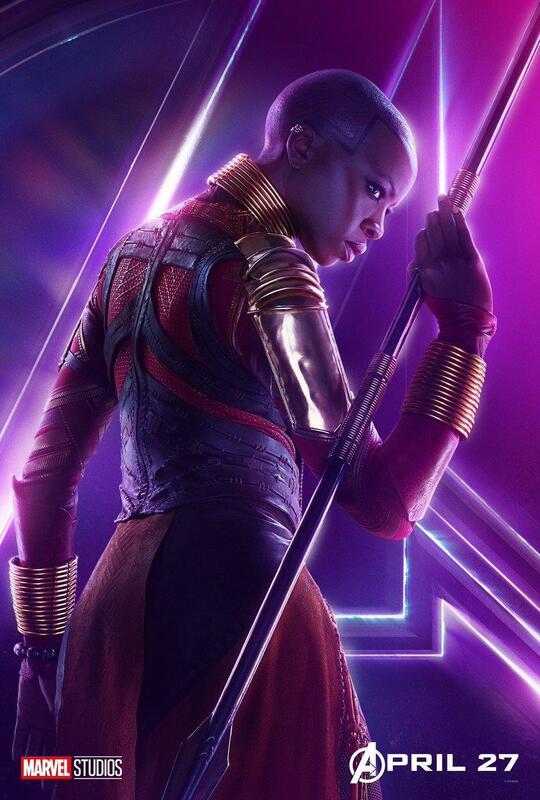 Danai Gurira's Okoye will simply be trying to do what she always has: protect Wakanda. But with her nation's borders now open, that defense has become harder than ever to maintain. 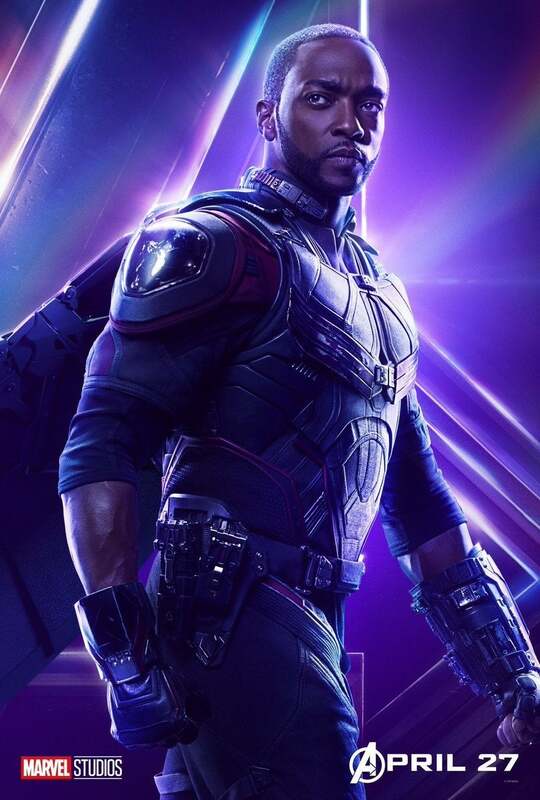 Anthony Mackie’s Falcon will be a trusted sidekick as always, helping Captain America and Co. to make a final stand against Thanos in Wakanda. 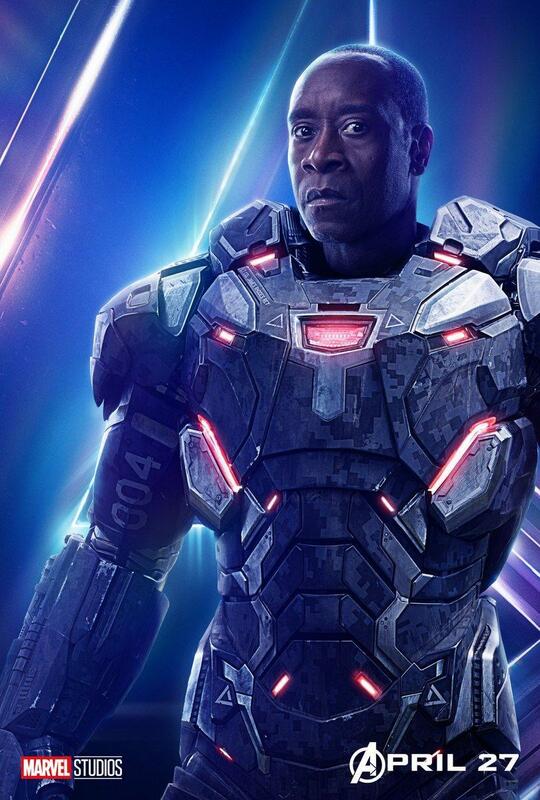 This is our best look yet at Don Cheadle's new War Machine armor! After his injury in Captain America: Civil War, it's good to see Tony's BFF back on his feet. 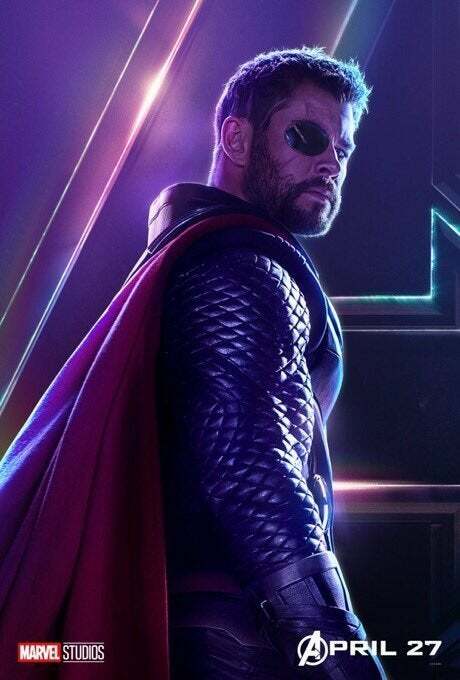 Which of these Avengers: Infinity War character posters is your favorite? Let us know in the comments! Marvel Studios' Black Panther is now playing in theaters. Avengers: Infinity War hits theaters on April 27, 2018. 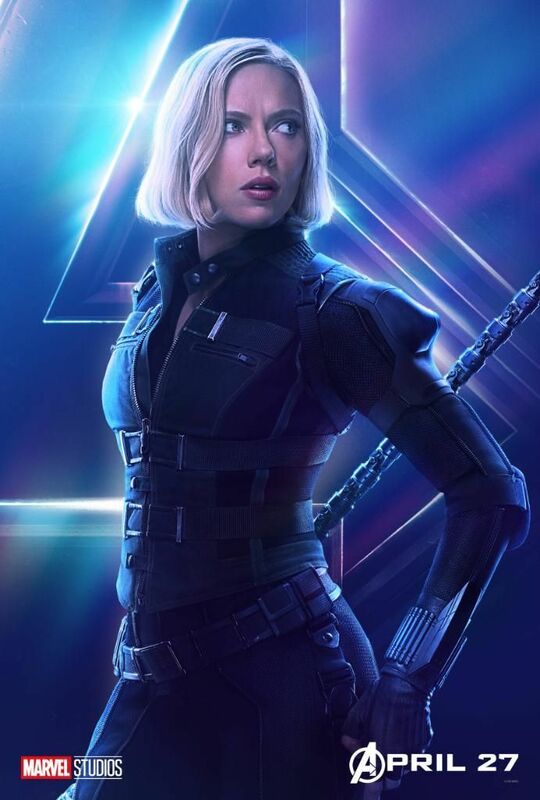 It is followed by Ant-Man and The Wasp on July 6, 2018, Captain Marvel on March 8, 2019, Avengers 4 on May 3, 2019, the sequel to Spider-Man: Homecoming on July 5, 2019, and Guardians of the Galaxy Vol. 3 in 2020.